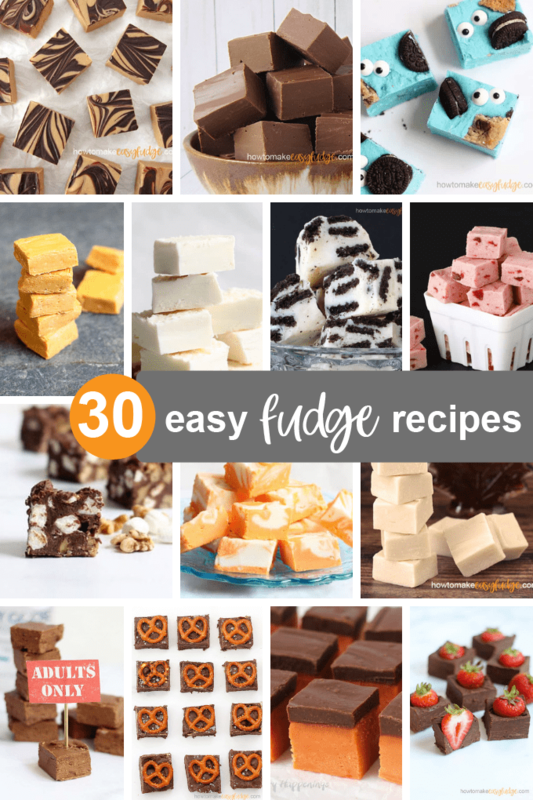 This fudge recipe roundup contains the 30 BEST easy fudge recipes you can find, all in one place. 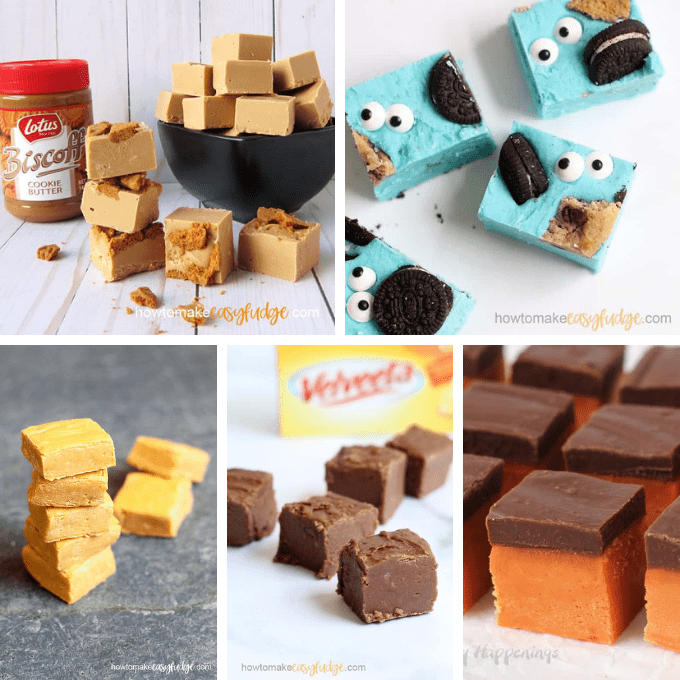 We’ve collected our favorite fudge flavors. 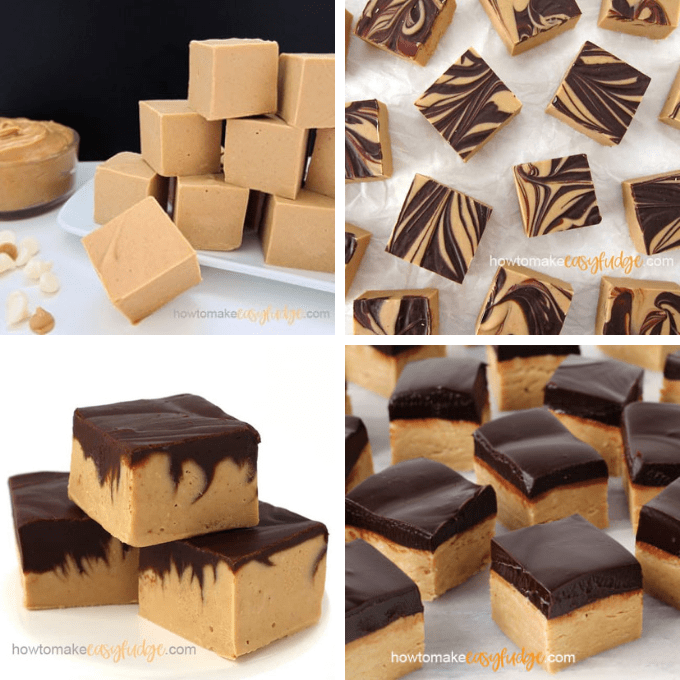 With the holidays approaching, now is the time for fudge! This no-bake, easy dessert has just a few ingredients, tastes delicious, and can be prepared in minutes in the microwave or stove-top, so it’s the perfect treat to make and give. 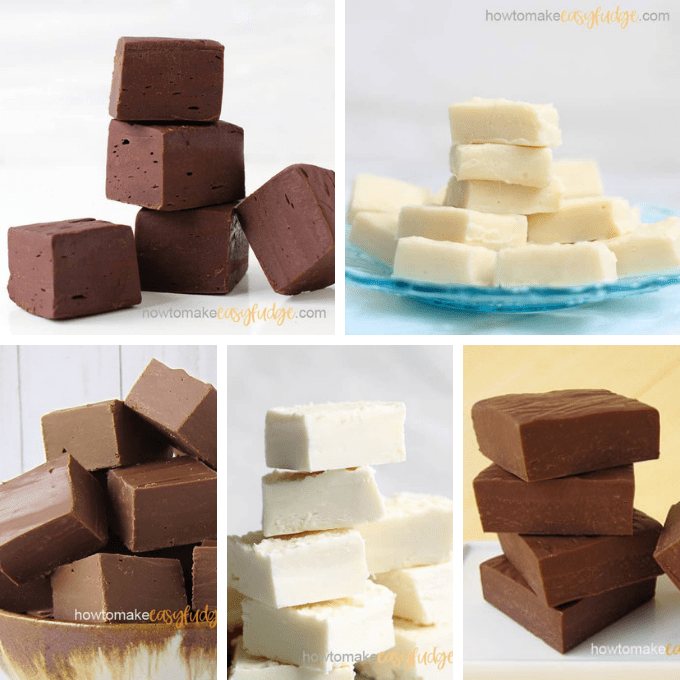 Package fudge in pretty boxes or containers lined with wax paper for hostess or holiday gifts. Or, keep some on hand in the freezer for parties and house-guests. 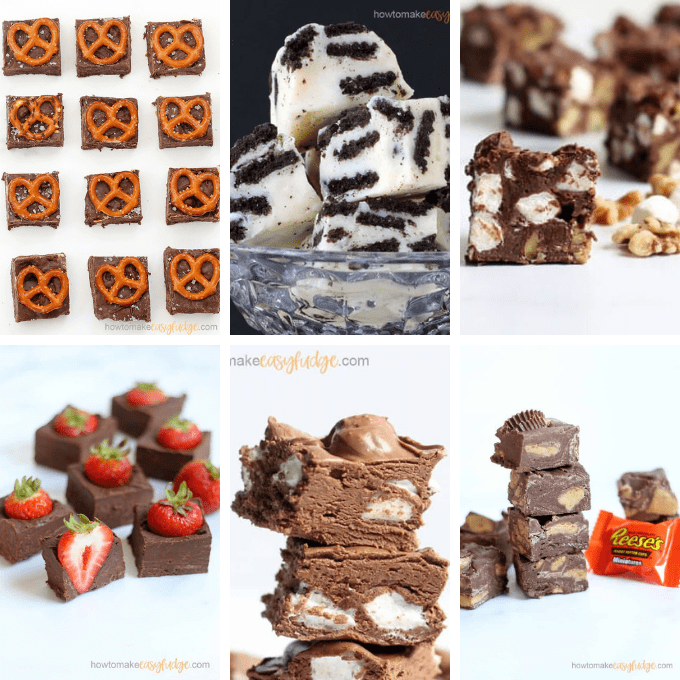 On this site, all of our recipes are “easy fudge,” or recipes that omit the time-consuming and trickier process of traditional candy making. We instead use substitute ingredients as shortcuts, such as sweetened condensed milk, so you can whip out batch after batch with ease. 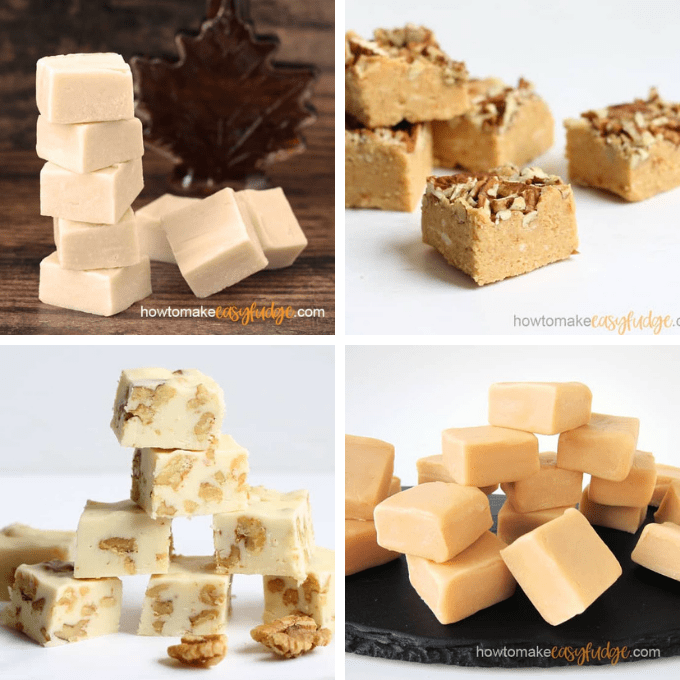 We primarily use two different methods of making fudge: Sweetened condensed milk fudge and two-ingredient frosting fudge. Combine 2 2/3 cup chocolate chips with a 14-ounce can of sweetened condensed milk. Melt in the microwave or on the stove-top (in a heat-safe bowl resting over a saucepan of simmering water). Add a pinch of salt and any flavorings or mix-ins, and pour into an 8-inch or 9-inch square pan lined with non-stick foil or lightly-greased parchment. Chill for 2 to 4 hours until well set. Cut into squares and serve. Follow the instructions above, but in place of the sweetened condensed milk, use a can of store-bought frosting! That’s it! 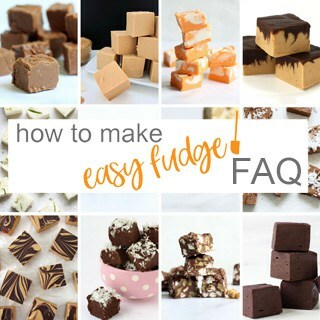 How do I freeze fudge? Why is my fudge too soft? Why is my fudge too dry or grainy? How do I prepare the pan for fudge? What type of chocolate do I use? Stick to the classics with these basic flavors. Try mixing in some awesome flavors and ingredients. I love these flavors of fall. For the peanut butter fan! 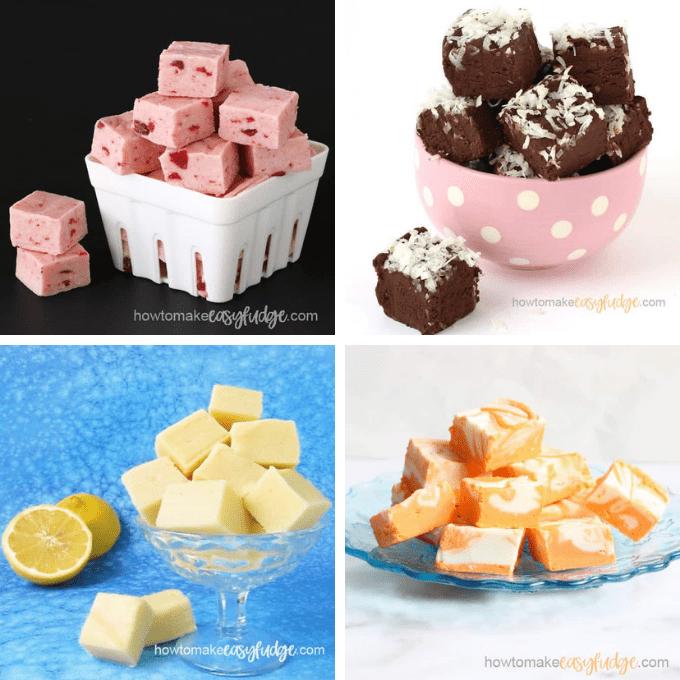 Switch up your fudge with some interesting ingredients! Check out these fruity flavors. 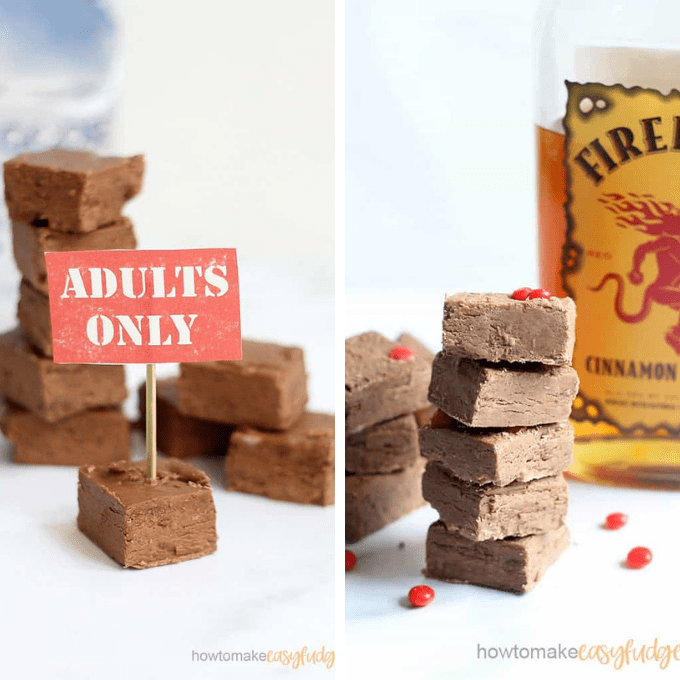 For grown-ups only, try these boozy fudges! These are such amazing recipes! !